“The young man was deeply concerned about reaching heaven and asked if he had done all that he could and should have done…. This young man, “deeply concerned about reaching heaven,” apparently didn’t get the message that seems so popular among Mormons today (though it is absent from the formal covenants Mormon make): That trying to be good is good enough for Heavenly Father. Neither did he get the biblical message that though absolute perfection is required, those who trust in Christ alone will enter heaven on the merits of Christ’s perfection alone, not at all on the basis of our own flawed attempts at righteousness. Neither did the young man get the encouraging words of Jesus who said, “I am the Way, the Truth, and the Life” (John 14:6) and “Come to me, all who labor and are heavy laden, and I will give you rest. Take my yoke upon you…and you will find rest for your souls. For my yoke is easy, and my burden is light” (Matthew 11:28-30). But consider this. The young Mormon missionary-in-training was “deeply concerned” about his behavior. Even after doing “everything that he could to raise the bar in his own life and repent,” he was “still troubled.” From a Mormon perspective, wouldn’t this indicate that the young man’s “personal revelation” told him that he was not good enough? Of course he asked himself the question before seeking his branch president’s counsel. It was asking himself the question that caused him to be “deeply concerned” and “troubled” in the first place. The young Mormon missionary was awakened to his dreadful condition; he knew he was not good enough for heaven. Sadly, his ecclesiastical leader turned him toward self when the Word of God would have turned him toward Christ. We don’t know exactly what good is. Even our religious leaders can’t agree on the subject. Our internal moral gauges aren’t much help. They don’t line up cross-culturally… And as time passes, our definitions of right and wrong tend to change. We have no clear indication from God how the scoring system for good deeds works. It is difficult to reconcile the notion of a good God with a system that is so unclear and seemingly unfair. Because in Mormonism, as in popular thought across the globe, good people go to heaven. But that is not the message of the Bible. The Bible says there are no good people (Romans 3:9-18). Only God is good (Luke 18:19). This entry was posted in Afterlife, Forgiveness, Salvation, Worthiness and tagged Adam Stanley, Church of Jesus Christ of Latter-day Saints, General Conference, Mormon Salvation, Mormonism, Salvation, Worthiness. Bookmark the permalink. 23 Responses to How Good is Good Enough? Besides asking how good is good, the other problem is, Do Mormons stop and think or ask, Is lying good? Many Mormons have been busted lying on this blog, why they lie is only known to them. Maybe they think they are doing Gods work, or God wanted them to lie. Who knows, but lying seems to be part of what they do and must do since it happens so much. So how can you think your doing good when you lie, and Jesus said, Lying is the language of the devil. Funny this article should pop up today. I was “in town” doing some of my errands and got to thinking about how I wouldn’t have a chance at eternal life if it depended on my behavior or works. I’ve been pretty up front here admitting that I’m a low, down degenerate sinner who couldn’t even begin to think about closing the gap between who I am and what God expects which is sinless perfection. But praise God because He knows my hopeless condition and has made provisions for me that I may attain to eternal life. Although I don’t want to get into John Calvin’s theology, I know what he was getting at when he articulated it. I grew up Catholic, as most of you know, and I was always on pins and needles wondering if I was in a state of grace and would enter heaven if I died. Actually I “knew” that at best, I’d have to burn in purgatory for a while. I can’t begin to express the relief I feel moment to moment during the day knowing that my security is in Christ Jesus my Lord and not my behavior or works. Now least someone reading this think I’m a reprobate given to licentious living, I do attempt to walk in the Spirit hopefully not bringing shame on my Savior. But one of the best verses in the Bible that I live by has to do with walking in the light as He is in the light and the Blood of Christ Jesus my Lord continually cleanses me from my unrighteousness. To the Mormon reader. You can never do enough. Your best efforts are filthy rags in the eyes of God. God has designed the pathway to salvation and it is through faith and trust in Jesus’ finished work of the cross. Take the path and forsake your futile attempts at closing the gap. guilt is made and forgiveness asked for . Sinners redeemed by the blood of Jesus . May Mormons know of the burden of failures to measure up being lifted from them by Jesus . is their leaders man made ladder to get Mormons climbing up to God’s home above . So the kid was worried about having done enough to reach heaven? Wrong LDS question. The question should have been, “Have I done enough to become a god?”. That’s the point of the second level of the Mormon salvation sphere. The first level, everyone who ever lived gets. It’s universal salvation. Then, given the three levels of LDS heaven, a person can move further through the program. Heavens, even we Christians make out pretty well in the Mormon system. We just don’t get to become gods. Mormonism claims that what a person believes and does in this life will result in being placed in either the telestial, terrestrial, or celestial kingdoms. Each kingdom has a set of laws. Those who live a telestial law while in mortality will be assigned to a telestial glory; those who live a terrestrial law will be assigned a terrestrial glory. Likewise, a person who abides by what is known as celestial law will be assigned a place in the celestial kingdom. Doctrine and Covenants 88:22 states, “For he who is not able to abide the law of a celestial kingdom cannot abide a celestial glory.” If a Mormon hopes to reach the celestial kingdom, he must abide by the celestial law. President Brigham Young said, “If we obey this law, preserve it inviolate, live according to it, we shall be prepared to enjoy the blessings of a celestial kingdom” (Discourses of Brigham Young, pg.404). President Joseph Fielding Smith wrote, “To enter the celestial and obtain exaltation it is necessary that the whole law be kept…Do you desire to enter the celestial Kingdom and receive eternal life? Then be willing to keep all of the commandments.” (The Way to Perfection, pg. 206). So does the young man get it? To enter the celestial it is necessary that the whole law be kept. The young man will have to keep all of the commandments. I think another question the young MM might want to ask is, “How much do I have to do to qualify for the grace that will seal the deal in me becoming a god?” That’s what “After all you can do” is all about isn’t it. So how much is enough of the “after all you can do” scenario. Pay your tithe, keep the WoW, be faithful in all callings, keep all of the commandments, go to the temple X # of times……………………what else? Can you skip church on Sundays a certain number of times? Can you duck out early on the Fast & Testimony meeting? Do you have to make people cry when you give your testimony in a shaky voice? This is Mormonism remember. It isn’t Christianity and Mormons would be hard pressed to find any evidence that what they believe, teach and practice is first century Christianity. There isn’t even agreement among the various sects of Mormonism regarding basic doctrine. Think of all the time, money and effort these LDS folks go through for nothing. 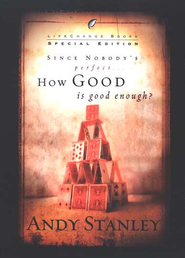 I like the last quote by Stanley: forgiven people go to heaven, not good people. Its not about goodness, but about being right with God, which is determined through forgiveness not acts. The question reminds of the Bible story of the rich man. He’s done everything right, but Christ tells him that is not enough. He has to give up everything for God. Its hard to do. If you notice when the rich man quotes the commandments and says all these ive kept (meaning understood) he leaves a few out. He also quotes them out of order. Maybe there is more to that story. accepted by God and one day earn eternal life in heaven . earn eternal life in God’s house above — Jn 14:6 .
to earn eternal life will produce , may they turn with empty hands to Jesus . He desires to lift their burden and replace it with His acceptance , forgiveness and peace. receive eternal life from Him . catty, but then again, maybe nothing was left out. I am not sure what would change story, though. I dont make a big deal out of what was left out, said or not said with the Rich man, and the reason why, is because, Jesus did not make a big deal out of it, so since Jesus did not make a big deal out of it, neither will I.
I think in any interpretation of a Biblical text it’s best to take the ordinary obvious meaning and go with it. Folks can get way off on tangents seeing things that aren’t there or reading meaning into a verse or account. Actually that’s why we interpret meaning within the context of the immediate verses and eventually work our way outward to include the entire NT. Context is an important concept when engaging in Biblical interpretation. As I’ve stated previously, I try not to focus on my behavior. It’s too demoralizing. I find that if I’m walking in the Spirit and fostering a close relationship with the Lord, appropriate behavior follows. This poor MM is hooked into performance based religion. He’s always going to have anxiety and depression. It just seems common sense to me that if we love God, our behavior will comport to His will. As I’ve stated previously, I try not to focus on my behavior. It’s too demoralizing. On a more serious note, I have spoken with many atheists, and one thing they say that keeps them from coming to God is they feel He is unfair by saying some one like Hitler can get into Heaven if he repents at the last moments of his life. But some one like Mother Teresa, If she never professed Jesus as Lord and Savior, she will not be in heaven. But this shows that it is all about what Jesus did for us, and His grace, Not our works that save us. We all have the same chance of saying I believe in Jesus, or I deny Jesus. In the end God gives everyone what they most desire. 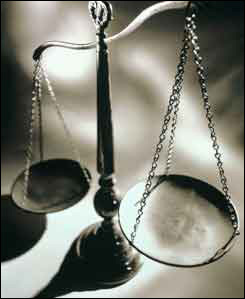 To those folks who value justice and fairness above all he will give exactly what they deserve……. wrath and hell. To those who value God’s mercy above all he will give the sweet mercy of eternal communion with him paid for in full because he took the wrath we deserve upon himself. I think everyone is going to be surprised in the end by how much we thought we understood and how far off we really were. I may not post on here much after this. I find im having a hard enough time figuring things out on my own. I dont think I have much that I can contribute to help anyone at the moment. I do wish you the best cattyjane. Keep reading the Bible, that will help you understand a lot. I too wish you the best. But if we are going to be off in the end, shouldn’t we just stop trying and accept God’s grace? Not to go relatavistic here, but we can fight and fight, trying to ascertain what precisely is absolutely correct, but if we are wrong, then for what purpose did we expend this energy. When you look at the entirety of the Bible, though, it becomes clear that what God wants is not effort but our hearts. So, instead of fighting for the proverbial needle in the haystack for something we may never find, why not rest in God’s arms? there can be a big difference between these two . and tell Him that you love Him . Begin to listen to songs that praise Jesus ! Nothing glorifies the Father more than to treat His Son the same way as we treat/ honor Him . I join with grindael and MJP in wishing you the best . Take care . My advise would be the same that the apostle Peter would give you. Focus through the Holy Spirit on Jesus and what he did for you. Thankyou everyone for your kindness. I know that the God of Israel will guide me on the path to truth. A few thought on how good is good enough. 2. This is true but we can train ourselves to have a good moral standard even if it might be slightly wrong. 3. We will be judged by our deeds and must work out our salvation with fear and trembling. 4. There is some wisdom in the system but I am flabbergasted by it. 5. Again We will be judged by our deeds and must work out our salvation with fear and trembling. Jesus assured the most religious people of his day that they weren’t good enough to enter God’s kingdom, while promising criminals and prostitutes that God would gladly welcome them. 6. It is interesting that a good person can do good and forget that he is no better than a prostitute or a criminal. This book has piqued my interest I may have to get a copy and read it. Clyde, I’m praying that you will one day come to understand the gospel . Stanley is recommended. A smart guy. You should check it out. I have not read this book, but I have read others– all well done.